BRAND NEW (2017), NEVER-BEEN-LIVED-IN, and MOVE-IN READY! 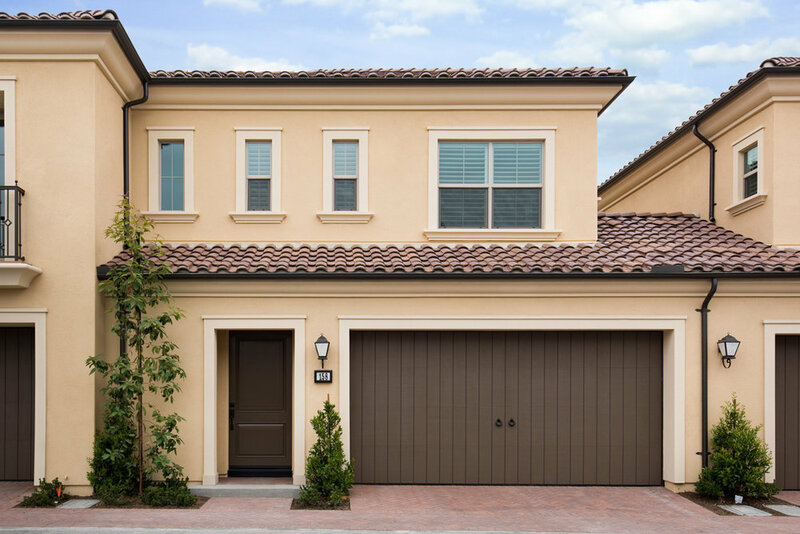 Welcome to this attached home located in Irvine's newest community - Eastwood Village! This charming condominium is situated within the coveted "Helena" community which showcases modern living and resort-style amenities. Highly upgraded condominium home with open floor plan boasts lots of natural sunlight. Enjoy elegant engineered wood flooring on main level, into the kitchen and living room area with carpet on the stairs and upstairs bedrooms for comfort and quiet inside space. Step into a gourmet kitchen with high-end stainless steel appliances, including Whirlpool stainless steel refrigerator, Caesar Stone countertops and backsplash throughout. Individual upstairs laundry room comes with brand new Whirlpool Washer and Dryer! Wake up to peek-a-boo views of beautiful, scenic mountains and trails. Relax and unwind in the Master bedroom with a bright and spacious en suite bathroom, double sinks and tile flooring, giving it a spa-like feel. Live lavishly in Eastwood Village with 4 parks, 2 Jr. Olympic pools and spas, wading pools and BBQ areas great for entertaining this summer. World-Class Education with neighborhood schools: Eastwood Village Elementary (opening August 2017), Santiago Hills Elementary School, Sierra Vista Middle School and Northwood High School - one of the best high schools in California. Only minutes to Irvine Spectrum and South Coast Plaza Shopping, UCI, JWA Airport, Laguna Beach and the 5, 405, 133 and 91 Freeways! Please feel free to share this custom property website - www.158Acuna.com - with others who may be interested in making this their home.